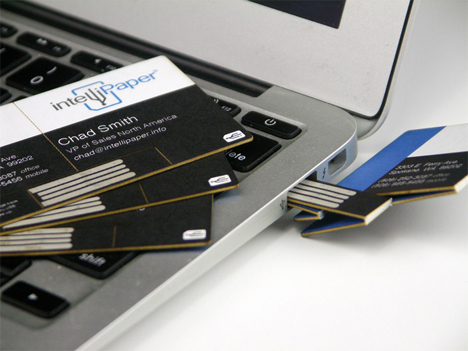 We always wonder what happens to business cards after they’re distributed to countless new contacts at a trade show or other meet-up. The SwivelCard can actually help its original owner keep tabs on how it is being used, but it also boasts an impressive number of other abilities – like changing its content after being handed over to a new contact. 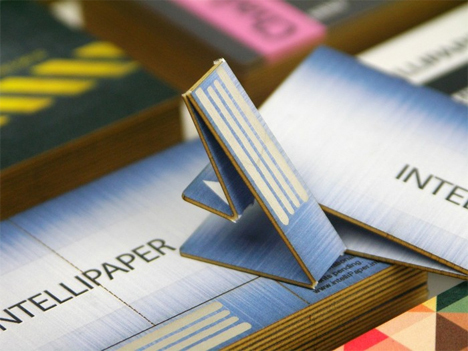 The SwivelCard is made entirely of paper and includes a USB stick – printed using a clever (and patented) method using metallic ink to create the metallic contact strips. Little perforations let you fold back part of the card so the USB contacts are exposed and ready to plug into your computer. 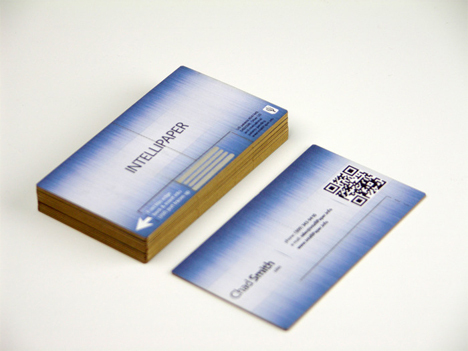 When you hand the SwivelCard to someone, you aren’t just sending your contact information out into the world. Each card links to a website you’ve chosen – typically it would be your business website or personal portfolio. However, the SwivelCard also gives you the option to change the website associated with each individual card – even after you’ve handed the card to someone. The SwivelCard also lets you track the usage of each card. The built-in analytics allow for real-time observation of how and when your info is being accessed. For people who are a little wary of sticking weird USB devices into their computers, the SwivelCard also comes with a QR code. A model enabled with NFC is also available. 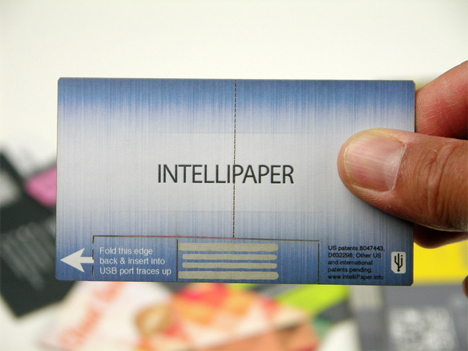 For all of the high-tech charm that comes with the USB business card, it also includes traditional printed information on the surface. 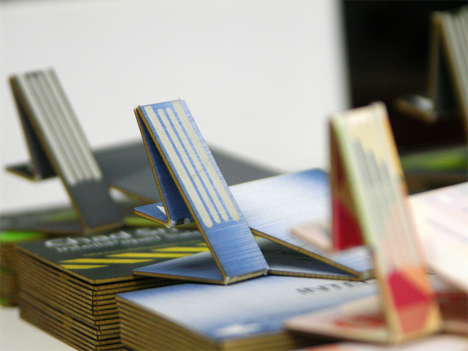 The SwivelCard’s Kickstarter campaign raised several times its funding goal, so maybe after the next trade show you attend you’ll walk away with a stack of dynamic USB business cards. See more in Industrial Design or under Technology. August, 2014.